After reviewing so many smartphones over the years, HTC One is the first device that makes me enjoy sharing my images and videos. 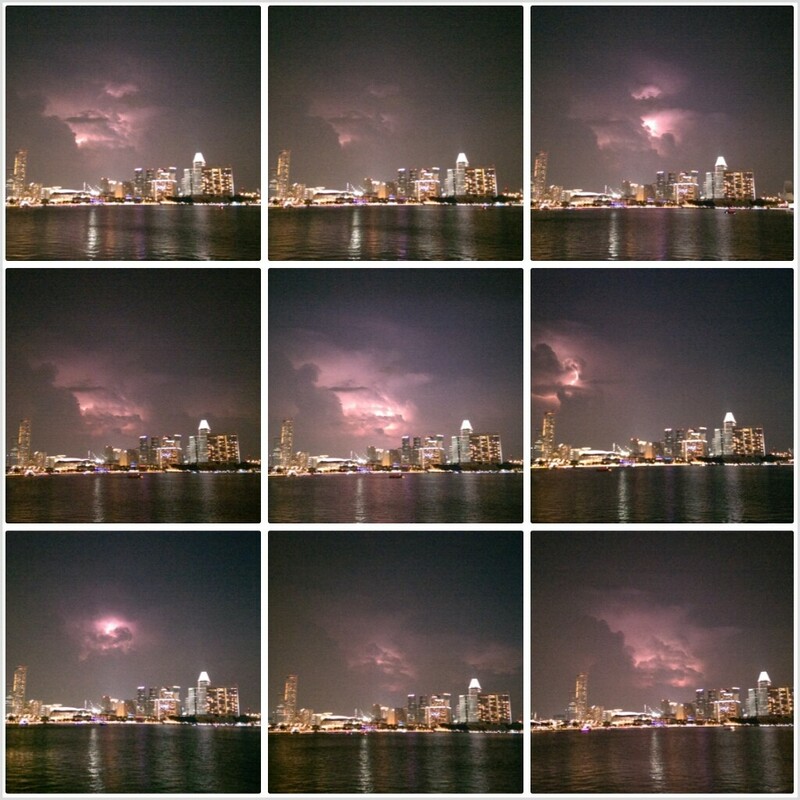 If HTC One can make a person like me who shares only about 3 photos a week to post dozens over the past 7 days, imagine what it could do to the social-happy ones out there. 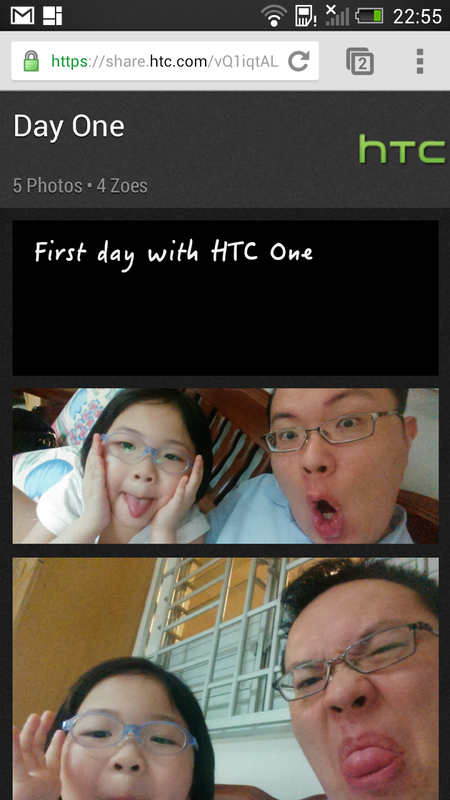 HTC One makes it fun to capture and share your life’s images without breaking your mobile data plan. HTC One offers a top benchmark score of 11955 with Quadrant, an amazingly 60% higher than Sony Xperia Z. I know different benchmark apps offer different scores, but this is just a guide to demonstrate the immense power the HTC One offers. Indeed, we take for granted how all the HTC One apps are executed in a snap, and it certainly can’t do it without an efficient processor. HTC One design is one of the major talking points. Its manufacturing process of fusing the aluminium and plastic parts without gaps requires 200 minutes. The plastic areas are critical to allow wireless signals to be transmitted, something that most of us consumers took for granted. To add to the challenge, the HTC One’s rear face is curved to fit nicely on our hands. 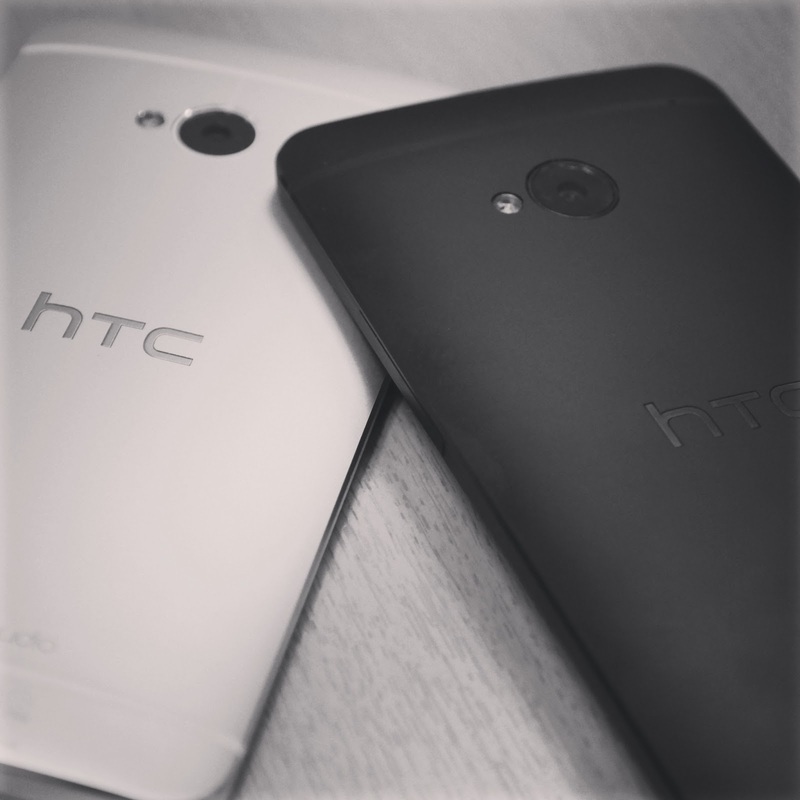 Thanks to HTC engineering, the HTC One is both beautiful and functional. The silver colour is recommended as it looks more striking, while the black colour will be preferred for users who prefer the understated, though fingerprint marks appear more visible on the metal surface. 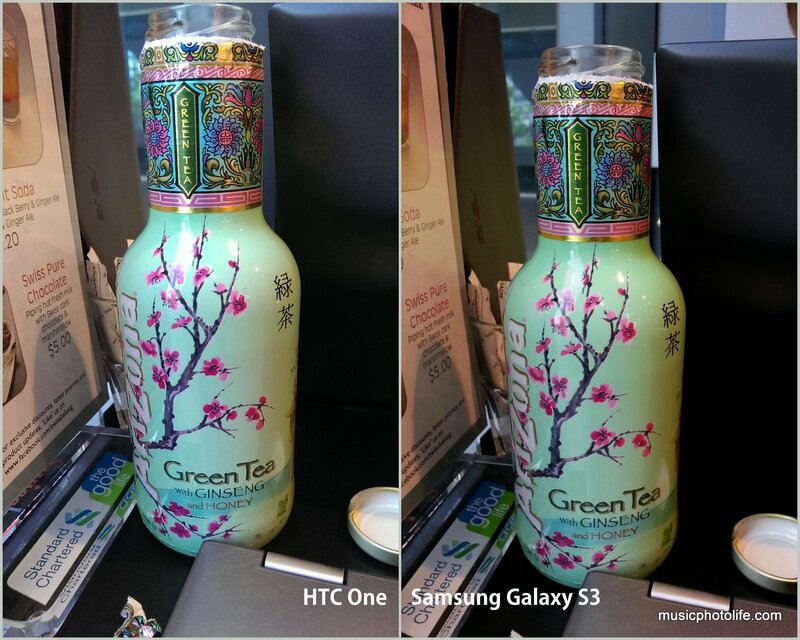 I compared the display with Samsung Galaxy S3 (“Natural” color mode), and HTC One appears brighter with better colour details. Thanks to the uncluttered camera app which starts up within a second, capturing both still and moving images is straightforward. 2 separate still and video camera shutter buttons lets you easily trigger either shooting modes quickly. Press and hold the still image will enable the continuous shooting mode up to 20 images. A dedicated effects icon allows you to select fun effects without going through the hassle of searching in the menu. Slide the finger across the screen to switch camera front-to-back. over Singapore Marina Bay skyline. As much as I would like to believe HTC’s marketing for their UltraPixel camera, the lower pixel count does not deliver dramatic improvements for low light shots. Without pixel-peeping, the images are above average for a phone with good colour and contrast details, though nowhere near compact camera quality. But I come to my conclusion that there is one important reason for reducing pixel count: to implement innovative features that work more efficiently with smaller file sizes. I really love Zoe, and for all camera lovers out there, this is an excellent way to share your images to family and friends. Even if I don’t post online, I could also generate the Video Highlights for every event I attended and store it as a daily archive of my life snippets. To let you enjoy the music experience, HTC One’s music app retrieves the song lyrics via LyricFind and flashes the lyrics on-cue, with GraceNote providing the album art. And as the app plays on the background, you can control the tracks in the notification dropdown menu. To think that BlinkFeed is just like Flipboard is an understatement. BlinkFeed also populates in-phone content like calendar events and TV programmes. Experienced users might not find it as customisable or user friendly as third party apps, but to a new user, BlinkFeed is an excellent way to receive news as it integrates to the home screen. It is good for lazy people like myself who doesn’t like to keep opening news apps throughout the day. For every product, there are always features (or lack of) that irks the user. 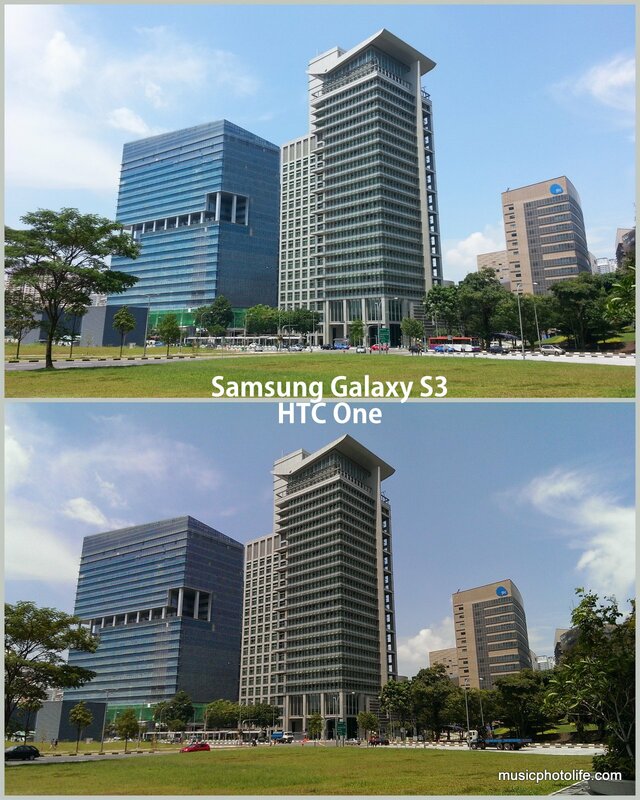 For HTC One, there is just one. The Power Button is located at the top left corner which is not easy to reach for left-handers like me. And the fact that the button is flushed against the corners means the finger can’t feel the button. I find myself missing it and pressing next to it at times. Same can be said for the volume rockers. Another minor irk would be the redesigned HTC Sense 5.0 user interface. Its has a different way of managing your icons unfamiliar to even seasoned Android users. Plus the fact that there are only 2 touch-sensitive buttons (recent apps button is activated by double-tapping the Home button), any new HTC One user should visit the Tips and Help app regularly to learn how to use many of the features. Once I got past the initial hurdle, the rest is easy. And for iPhone users and Android users who prefer the iPhone way of displaying all apps, HTC One’s app drawer view can be set as a permanent home screen. 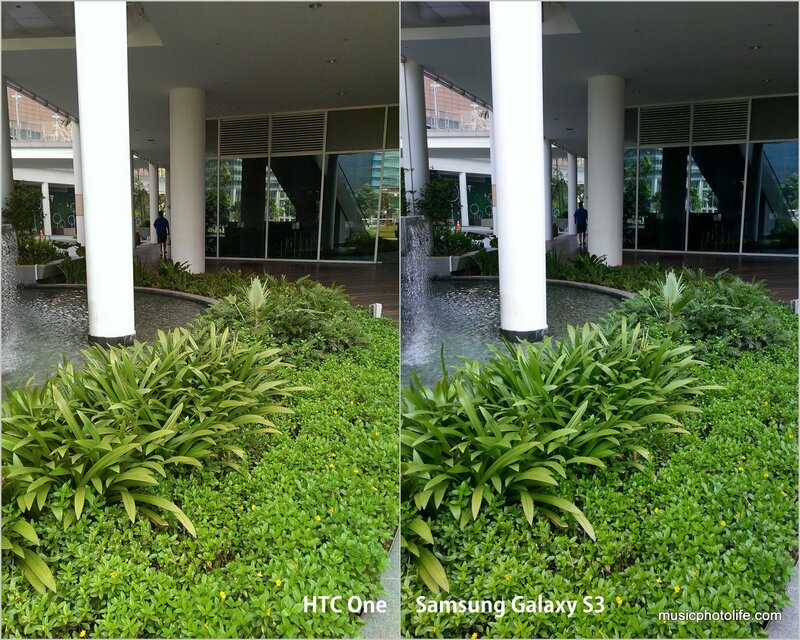 If you love capturing memories on photos and video, then HTC One will delight you immensely. I know the camera pixel count will be a major hurdle to many, but frankly, many of us do not need that many pixels since our images are mainly used for online sharing. A high-pixel image will end up resized before you upload to social websites. Worse, if you do not resize, it will take a long time and data bandwidth to upload the full-resolution images. HTC is taking a gamble here, but I’m for it. I am one who would rather sacrifice pixel count for a more efficient image-capturing and image-sharing solution. 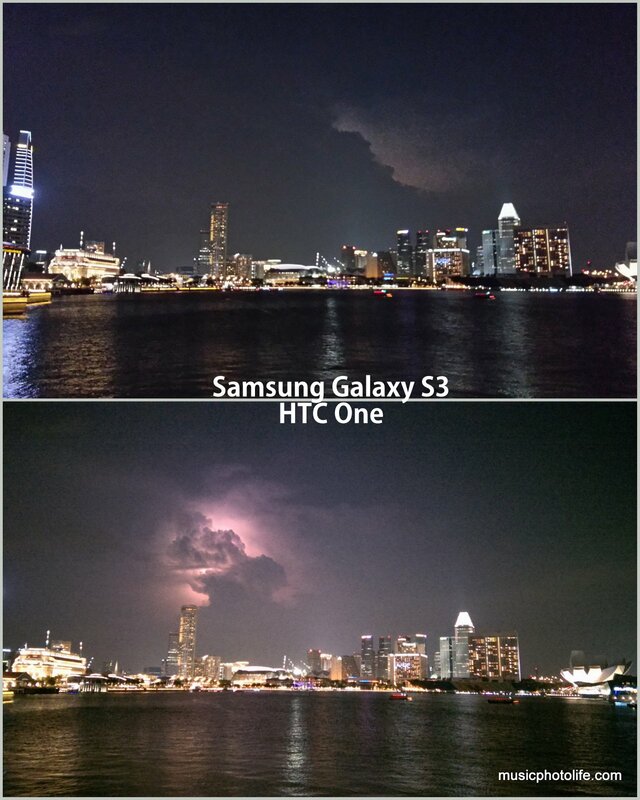 Putting that in perspective, the HTC One is the smartphone of choice for social sharing lovers, while image-critics should stick to their megapixel pursuit. 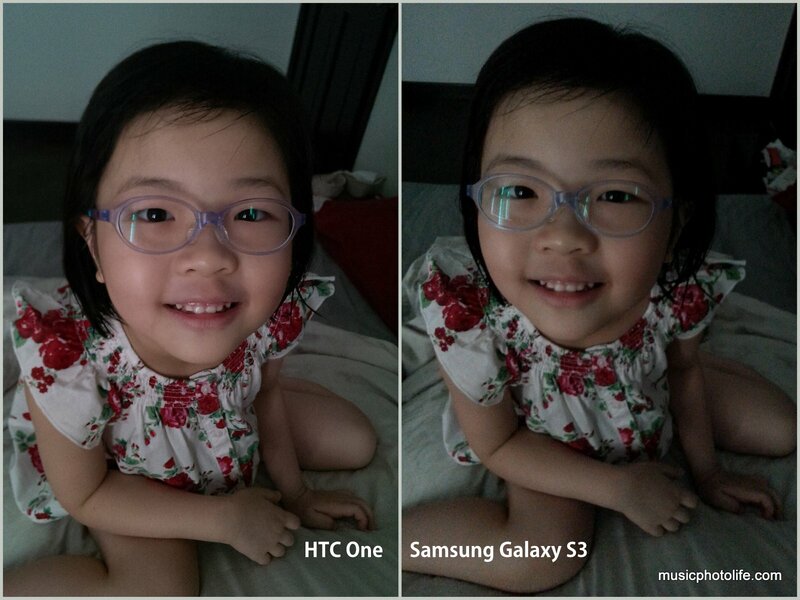 This review is also published on XinMSN and StarHub Community Portal.